What better way to celebrate the release of Wonder Woman than with matching superhero merchandise to boot? 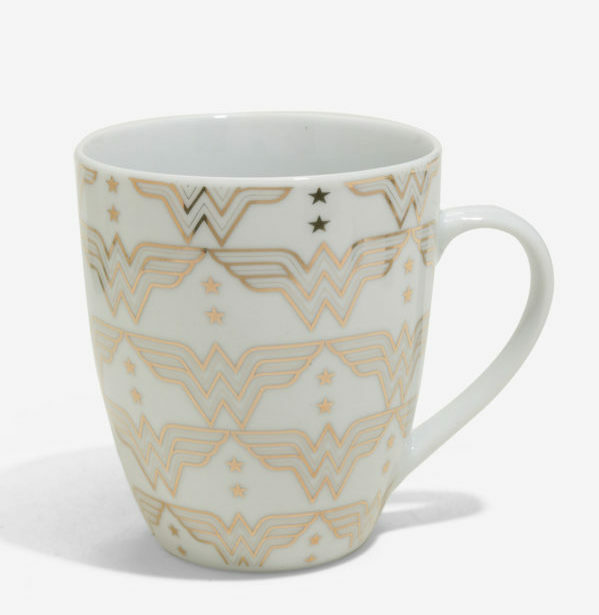 Well, now you can get your very own Wonder Woman-themed china set, and eat like the princess of the Amazons. 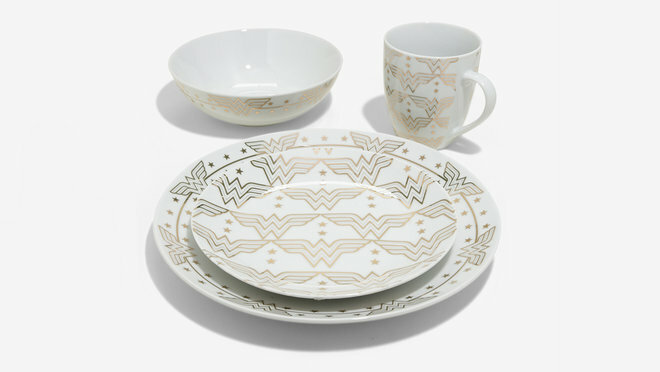 The understated white-and-gold dish set actually looks like something you’d see on a wedding registry. Even better? Part of the proceeds support a good cause. For every $10 spent, BoxLunch, which produces the china, donates a meal through Feeding America. So just like Wonder Woman, you’re protecting those in need. Plus, may we emphasize, amazing china. 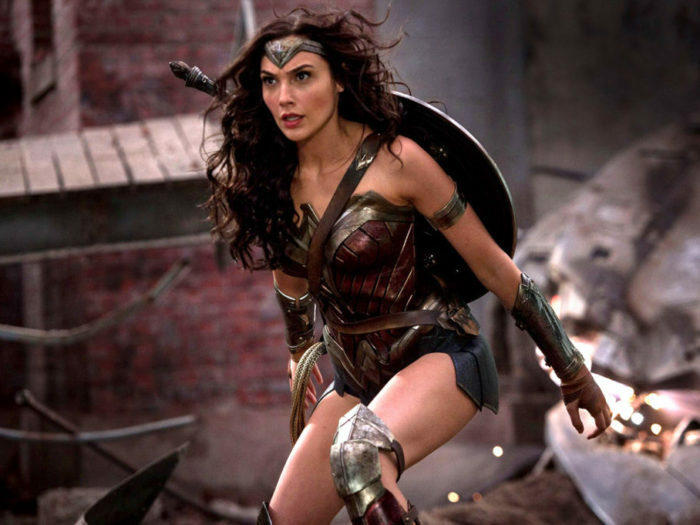 Wonder Woman is dominating the box offices since it hit the big screen on Friday. As of Sunday morning it had shattered the record for highest opening weekend for a female director, with more than $100 million in ticket sales, beating out Fifty Shades of Grey. If you’re on the look out for more Wonder Woman merch, BoxLunch also has an amazing white-and-gold purse and a matching wallet. “So, you might not be able to fit the Sword of Athena in this bag, but it'll enhance your look in a totally different way… it's the perfect bag for an Amazonian Warrior,” the product description states. 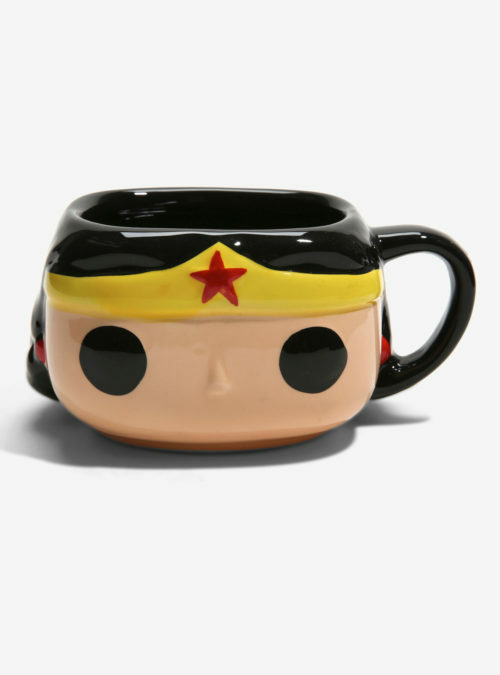 Or you can get this adorable ceramic mug of Wonder Woman’s face. Ok, seriously, we want it all. Time to go stock up on Wonder Woman products!